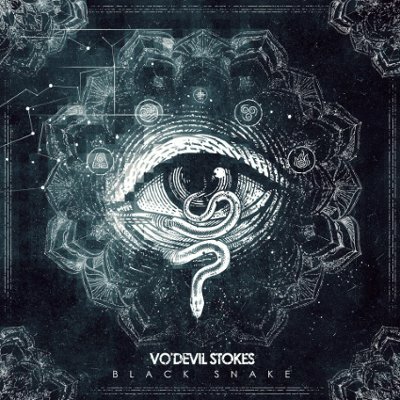 Vo'Devil Stokes’ Black Snake is quite the adventure. Steeped in densely layered, wide-reaching atmospherics and heavily swathed in persistent electronic flourishes, the debut release from these Russian newcomers is certainly difficult to pin down, at least sonically. One minute there’s rap verses followed up by waves of synth-addled chugging refrains (“Banshee”) and Bring Me the Horizon-esque alt-metal complete with staunch guitar solos (“Black Snake”), and in the next there’s moody tracks seemingly scooped directly off the cutting room floor of Linkin Park’s A Thousand Suns recording sessions (“The Walking Dead”) and towering melodies and expansive hooks (“Burning Paradise”). The driving “Hero” is a highlight of Black Snake thanks to its anthemic, radio ready vocal aesthetic, but if there was ever an instance of how good Vo'Devil Stokes can be when all the noise works in union, it would be the stunning “To Father,” the penultimate track off of Black Snake. So, yeah, Black Snake is an adventure to say the least, one worthy of an undertaking.